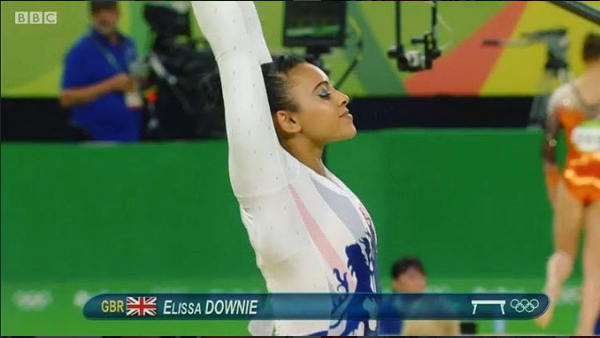 Gymnast Ellie Downie turned senior in 2015 where she became Great Britain's first female gymnast to win an all around medal at European championships. Few months later, she contributed to her team's historic third place finish at World championships. In 2016, she accomplished her Olympic dream along with her sister Rebecca Downie beside winning three silver medals at European championships. There, she finished fifth with her team and thirteenth in the all around. Gigi: You and your sister made GB's Rio Olympic team, how does it feel like to accomplish your Olympic dream along with your sister? 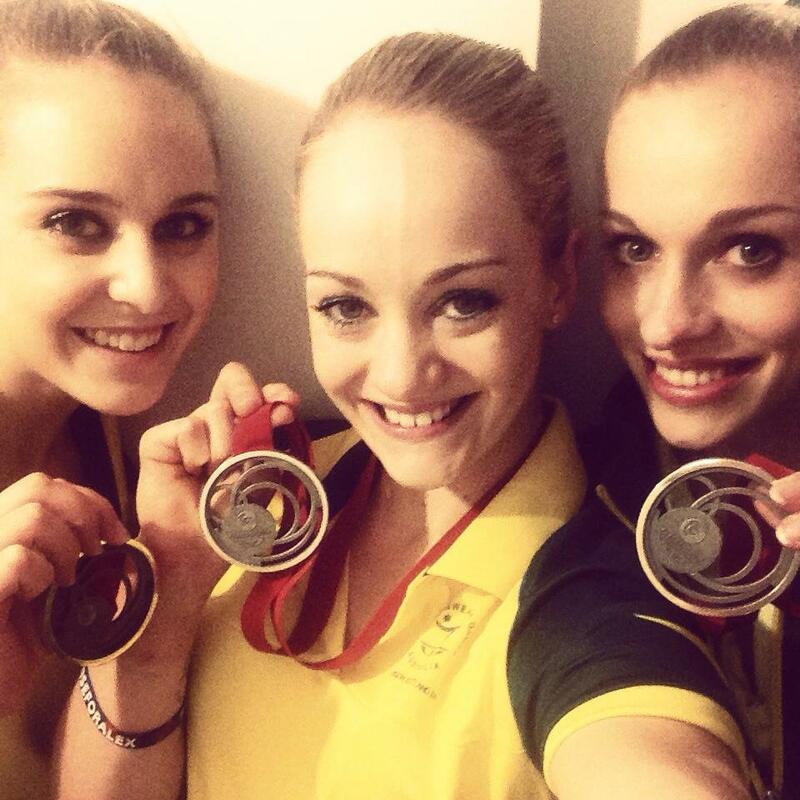 Ellie: It was really just an absolutely amazing feeling to make Rio with Becky! It's such a special thing to make an Olympic team and compete for your country but doing it along side your sister is just even better! It's still quite surreal now. Gigi: Your sister announced several days ago that she is eyeing Tokyo Olympics, what about you? Ellie: I'm definitely still continuing my gymnastics career and Tokyo is definitely the goal for this next cycle. Gigi: You uploaded a video of yourself training double twisting double back tuck, when do you think you will be able to compete it? Ellie: With new skills I only like to put them into the routines when they are good and comfortable and It's coming along but it will be ready when it's ready! But hopefully soon. Gigi: Are there other skills you are secretly training or skills you aim on training in the near future? Ellie: I am training new skills but for now they are a secret. Gigi: Who impressed you the most in Rio? Ellie: In women's I'd day Laurie Hernandez (USA) and for men I'd say Max Whitlock (GB). Gigi: At the qualification in Rio, you had a scary fall on floor exercise. What happened? What made you fall? Ellie: If I'm honest that fall was the most bizarre thing I've ever done. I'm not one to have bad falls like that ever really in training and for it to have happened on such a huge stage was even more strange. I just under rotated my 2 and 1/2 twist and still went for the punch front even though I shouldn't have really. But you learn from your mistakes. Gigi: Were you in pain? Did you sustain an injury? Ellie: Yesss it definitely hurt and did hurt for a while after the competitions had finished. It was an injury but I was well enough to continue. Gigi: Was it dangerous for you to continue competing after such a fall? 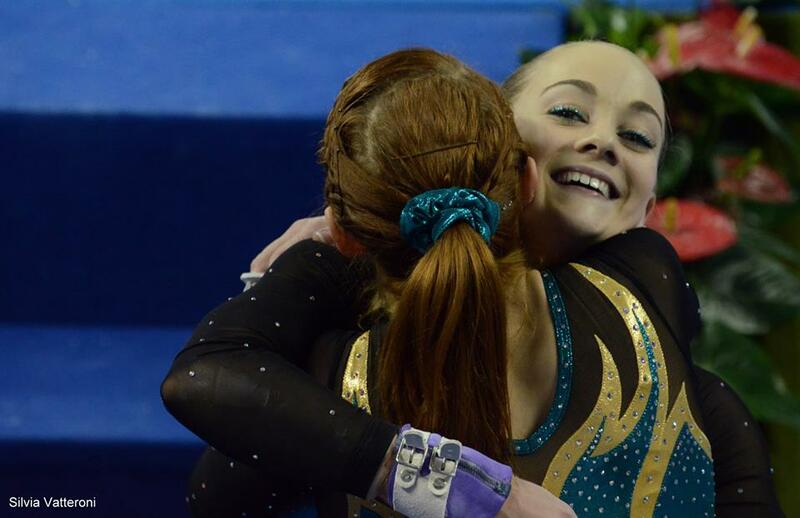 Ellie: No once I was taken out of the arena I was fully assessed by our British Gymnastics doctor and he gave me the ok to go back and compete. So it wasn't dangerous. Gigi: If a gymnast had a scary fall such as the one you had during competition, is she allowed to resume her routine after getting checked by medics or does the routine end once the gymnast leaves the podium? Ellie: I'm not a 100% sure but I think the routine ends once you've stopped because normally of you, you stop a routine for a reason not just because you want to stop. Gigi: Your teammate Ruby Harrold has moved on to collegiate gymnastics, would you like to follow in her footsteps once you are done with elite gymnastics? Ellie: When I was younger I was debating it but I've decided not to now as i want to be elite for as long as I can. Gigi: What would you like to do after finishing your gymnastics career? Ellie: Definitely get my coaching qualifications and hopefully one day have a group of gymnasts of my own. Gigi: What are the goals you want to achieve next year? Ellie: Hopefully make the European and Worlds team but we'll see how it goes. For the time being I'm really enjoying getting back to full fitness from Rio and getting new skills learnt and into my routines for the new year! Larisa Iordache "Simone Biles And I Have Always Supported Each Other"
With eight European medals and four World medals, Larisa Iordache was Romania's most successful gymnast this quad. She could not fly to Rio's Test Event to help her team qualify to the Olympics due to injury. She went to Rio Olympics as an alternate for Catalina Ponor, who received Romania's sole berth. Gigi: Are you eyeing 2020 Tokyo Olympics? Larisa: It's difficult to say what I will be doing at the time of the Tokyo Olympics which is four years from now. I want to compete in every competition and take everything step by step, and if my health allowed me, why not. Gigi: A lot of gymnastics fans felt that you deserved to earn Romania's individual spot at the Olympics, what do you think about that? Larisa: There were so many speculations regarding me competing in Rio. But all this belong to the past right now, my wish was to be there with a Romanian team, both men and women. Like I said this is in the past now and we have to be optimistic for the future in order to bring good results. Gigi: What do you think of the 2017-2020 CoP? Larisa: I'm not qualified to comment on the code of points, but I can say that it's not difficult for me. Larisa: Hands down, Simone [Biles] was the best and I appreciate her very much and appreciate all she has done. Gigi: There was some sort of conflict between you and teammate Catalina Ponor during the Olympics, has it been resolved? Larisa: There was never a conflict between me and Catalina. Gigi: When are we going to see you compete again? Gigi: What goals have you set for yourself in the upcoming quad? Larisa: First, all I want is to be healthy to be able to follow the training program in order to achieve my goals and to achieve everything I want in every competition. Gigi: You were subjected to backlash for wishing Catalina Ponor's competitor Simone Biles good luck, how did you deal with such situation? Larisa: Simone and I have always supported each other. I appreciate her for all she does and I believe that we can learn from each other. Everyone has different opinions and we have the right to say what we want. Gigi: Are there any new skills you are training? Larisa: It's hard to say. I am capable of performing new elements but in order to perform them, I need to be sure that I can can perfectly execute them. Special thanks to Alex Mladinescu for translating the interview. Greece's Vasiliki Millousi "I Prefer The New Code System"
Valerie: First on all congratulations on going for your 3rd Olympics 16 years since your first! What are you expecting and what can we expect to see from you in Rio? Vasiliki: Thank you so much!! From Rio you have to expect from me the best of me! What is your daily routine/schedule like? Valerie: How does it feel like to be the sole Olympic WAG for Greece? Vasiliki: I would like to work with other gymnasts to prepare for the Olympics but for now It is only me, it’s a little bit hard but I will go on for the preparation. Valerie: You have been very graceful, flexible and lyrical on beam and floor exercise. Can you share with us what makes you so artistic and calm during competition? Vasiliki Actually I'm not so calm but I'm working hard to looks like this:) When I was young I did ballet every day with my ballerina coach and I get good technique about dance choreography flexibility and ballet. Valerie You come from the era of perfect 10, and now you are experiencing the new scoring system. Which system do you prefer more and why? Vasiliki: I prefer the new code system because it helps you to work hard to be every time higher and higher about start value. Valerie How are the younger gymnasts nowadays different from gymnasts of your earlier days in terms of artistry and the way they move? Vasiliki I think this depends on how the young gymnasts are. Nowadays, if you want to be the top gymnast, you have to work on acrobatics like you are an acrobatic gymnast, and work on rhythm and flexibility like a rhythmic gymnast and artistry like a ballerina. It's very difficult! Valerie It must be tough to stay on top of your game for nearly two decades. What are your secrets to staying so fit and competitive at the age of 31? Vasiliki My secret is my passion for my work, and I grow up like a fighter. I used to fight every single day to be better and better until now. Valerie In 2000, you were one of the youngest in the team, but now your teammates may be just half of your age. How has your relationship with your teammates change during your long career? Vasiliki They all respect me regardless whether I am their teammate or not. They asked me how difficult is to stay on top in this age, about my food …. they respect my advice and they tried to be like me, That’s awesome for me! Valerie Moving towards your third Olympics, how have you enjoyed gymnastics and competitions different now when compared to your earlier career? 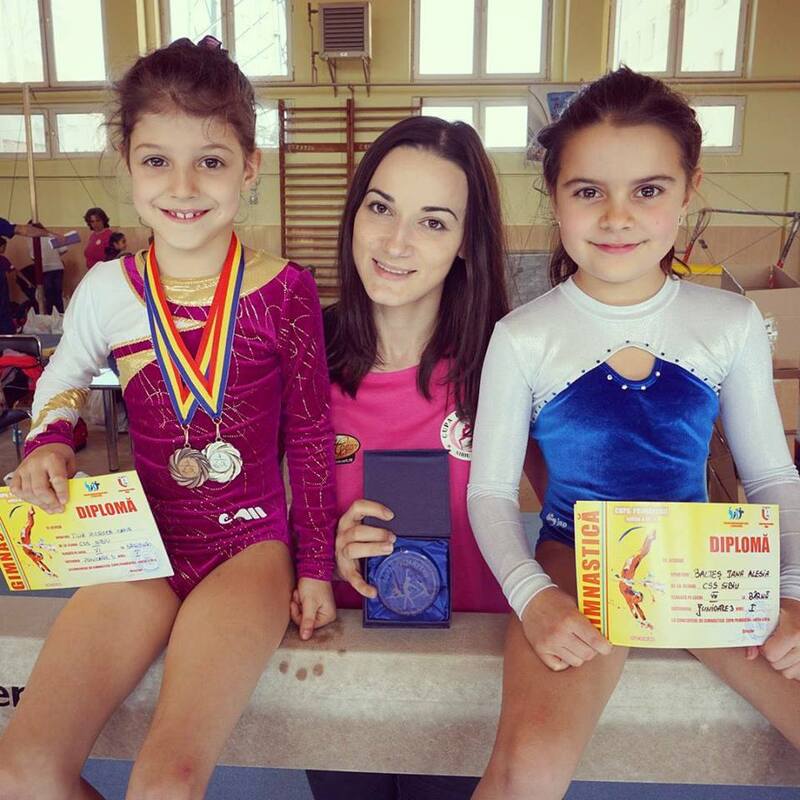 Vasiliki: Now I can feel everything from the start to the end of training and competitions. When I was young, I was so nervous and I couldn't enjoy the moments. Now I am trying to enjoy all the moments, good or bad. Valerie If you can choose, will you rather compete as a young gymnast or as a mature veteran, and why? Vasliki:I'd rather compete exactly as it is now, I don't feel like a veteran, I feel more like an experienced woman and gymnast every time I compete. Age has a different, beautiful meaning in gymnastics. Sabina Cojocar "My Health Problem Was Genetic Which Means I Have To Live With It"
Sabina Cojocar was a talented Romanian gymnast. She competed at 2001 and 2002 World championships. As a junior gymnast, she dominated the European championships in 2000 winning three gold medals on vault and beam, and in the all around and silver on floor exercise and in team competition. Cojocar suffered from a chronic liver problem which put an end to her career. her career highlight was originating the 2.5 forward twisting layout on floor exercise. 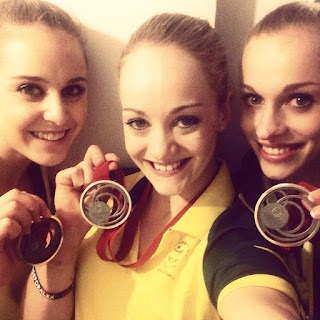 We got the chance to catch up with the former gymnast. Gigi: Where is Sabina Cojocar nowadays? Gigi: You lost your battle to illness, hence you were forced to end your career. You said in an interview that you had a hard time accepting this fact and it took you up to 4/5 years to cope with it, how did you manage to accept your fate? Sabina: I have practiced gymnastics for almost 15 years, time in which I hoped, I dreamed, I had failures and success, there were good times but also sacrifice and hard work. Everything that I was doing since waking up in the morning until I went to bed at night was organized for the benefit of practicing gymnastics on a high level. 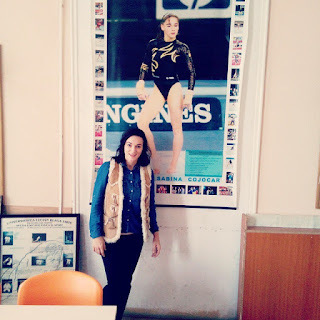 I had a hard time accepting that my career ended because I didn`t know who I was without gymnastics. My whole identity was wrapped around it. Gigi: Are you at peace now? Sabina: Yes. Though, I still miss practicing sometimes. Gigi: What advice do you have for gymnasts who also have been forced to retire and have difficult time dealing with it? 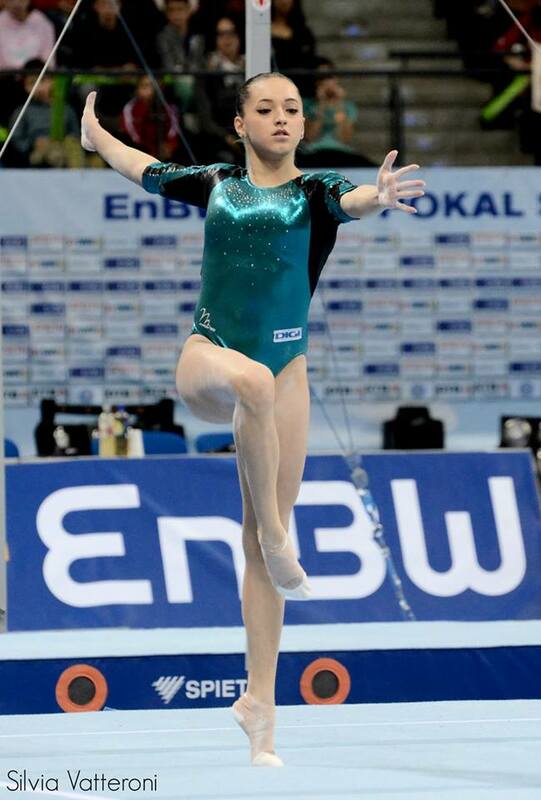 Sabina: Gymnastics was my dearest experience for the time I was practicing it. To me, trying to discover other talents that God has put in me helped let go of my old passion and dedicate myself into discovering more and more of what else I could do. Gigi: What have you learned from this unpleasant experience? Sabina: I learned that my identity is not based on what I was doing or how good I was at it but on who I was as a person. I learned that I have value even without winning trophies. Gigi: In 2001, you originated the two and half forward twisting layout, but it got mistakenly named after your then teammate Silvia Stroescu, can you tell us what happened exactly? Sabina: I don`t know what happened about that but I am glad that everything is in order now. Gigi: What is your best moment in gymnastics? Sabina: My best moment in gymnastics was the sensations when I am in tumbling. Also the happiness I felt when I was able to learn a new skill and being happy with my routines in a competition. Gigi: You left Deva due to problems with your health, however in 2004 you made one final push towards the Olympics, at that time were you recovered from your health problems? Sabina: I was feeling better, but I was not recovered from the health problem that I have. It is genetically which means I am have to live with it. Gigi: You have pursued a singing career, can you tell us about that? Sabina: That was in the time when I was trying to discover what else I am able to do other than gymnastics. That was a brief experience but pursuing a singing career was not meant for me. Gigi: Former Olympic gymnast Carly Patterson of USA had also pursued a singing career, what do you think her? Sabina: I am happy for Carly. She has a lovely voice and I wish her all the best. Gigi: You have as well pursued jewelry designing, can you tell us about that? Sabina: I am a creative person. I love art in different ways. I love beads, pearls and crystals; I love colors, mixing them together. Designing jewelry is a hobby of mine. Something that I don`t do very often, but most of the time when I feel creative. Gigi: If you can erase one moment in your life what would that be? Sabina: I would be more careful in my choices. Gigi: What would you like to achieve in your life? Sabina: I would be very happy if I could be able to impact the life of others in a positive and meaningful way. As the only WAG member who has won gold for China in two consecutive Olympics, Deng Linlin is kind enough to accept our interview invitation. Dynamic and confident in her life as she was in her gymnastics, Deng Linlin is eager to make her mark outside gymnastics by studying international relations in college, engaging in charitable work, and making public appearances in various events. Valerie: You got your first international medal in World Cup events in 2008. Did this make you feel more confident about making the Olympic Team? Linlin: Not at all. Internal competition was very tough at that time, it was extremely hard to get my name into the Olympic list. Valerie: As the dark horse of Team China, you impressed the world by performing a solid beam routine right after Cheng Fei fell in the TF. How did you gather yourself to pull that off? Linlin: At that point, I was very focused in my elements, and filtered all unnecessary thoughts. It was the same in all competitions. A gymnast could only learn to control herself through accumulating experience through each competition, big and small. Valerie: In the TF, when the final score was up and China won gold, how did you feel? Linlin: I just felt happy, and I did not think about anything other than that. Maybe it was because that was my first big meet, I just thought I did what I was supposed to do. Valerie: How will you describe the 2008 WAG Team of China? Linlin: We were a fiercely strong team. That was why we won. Especially our big sister Cheng Fei, who was the only Olympian of the team. With her many experiences, she led us to claim that gold. As the younger teammates, the other five of us were great too. We all delivered our performances. TF is not just about one individual, but it is about the team, with the gymnasts, coaches, and those who work behind the scenes. Valerie: Your beam D score in 2008 was one of the highest in the world. Did you feel disappointed not making the beam finals? Linlin: Certainly there was some disappointment in that. Valerie: Finally, in 2009, you won the world title on beam. Was that something expected? Linlin: I did not even think of it. I felt great being able to get into the finals, since I had a knee surgery at the end of 2008. My conditions in 2009 were not particularly well, so I did not anticipate a gold. Valerie: 2010-2011 was a hard phase for you, as you failed to defend your title in 2010 and did not make the world team in 2011. How did you overcome that? Linlin: In fact, being able to medal in 2010 was an accomplishment to me, because beam was very hard to compete. Besides, I was still yet to recover from my injury in 2010. Silver was already great for me. In 2011, my failure of not making the world team was a huge blow to me, I never expected this would happen. But that would not affect the 2012 Olympic selection. On the contrary, I felt that I was more prepared for 2012. Valerie: You were the team captain in 2012. What were your duties as team captain? Linlin: Firstly, I had much more responsibility as a captain, because I did not just watch myself in training and in everyday life, but I also had to help my teammates. I had to boost the morale in competitions, and encourage others when they had difficulties. I also acted as a medium between the coaches and the gymnasts. Valerie: You are the only Chinese female gymnast who won gold in two consecutive Olympics. What does that mean to you? Linlin: I am very proud and happy to have achieved so. I was the only female gymnast winning gold in 2012, and that added much weight to the medal. I did not disappoint myself and my countrymen. Seeing the Chinese flag raising on the podium reminded me of my perseverance, and I thought to myself, “I have finally done it”. Valerie: Was the result expected? Linlin: No, it was not. I just hoped to get that gold. It was my goal after 2008. It could be viewed as a double insurance for two Chinese gymnasts to get into the beam finals, because beam is China’s strength. And up till the beam finals, we had not have any gold in WAG in London, so everyone hoped that a Chinese could be crowned Olympic Beam Champion. Valerie: Sui Lu was seen crying after the ranking was out. Were you two fierce competitors back at home? Linlin: On the podium, even if we two were friends or teammates, we were rivals as well. Competitive sports are always cruel, because there is only one champion. 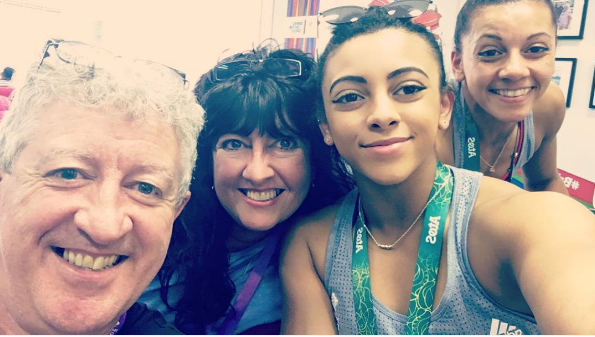 Valerie: How were your two Olympic experiences different? Linlin: 2008 Olympics was my first huge competition, I was like a tiger cub and did not think a lot. I did three routines in the TF and became much more confident. In 2012 it was different because I was the team leader, I felt more weight on my shoulders. Also, 2012 was more about realizing my dreams. I knew 2012 would be my last Olympics, so I hoped I could win beam gold. I did it despite the difficulties. I conquered myself. Valerie: Usually gymnasts retire right after winning Olympic gold. What made you compete till the 2013 National Games? Linlin: The National Games was a must for me. It was at the same level as the Olympics, though it was competed nationally while the Olympics was competed internationally. I did it in order to pay tribute to my provincial team’s effort in grooming me to become an Olympic champion, and I hoped to do something for my province before I retired. Valerie: Who was your favourite gymnast during your competitive years? Linlin: I admired Li Xiaopeng (China MAG, four-time Olympic champion and eight-time World champion). He was not only handsome, but more importantly, he had a commanding presence in the arena. He was a genius in my mind. Valerie: You had a tough career, and your motto “Do not compete with others for luck, but compete with others for perseverance” carried you through it. What does this motto mean to you? Linlin: This motto has huge impact on me. In 2011 Worlds I unexpectedly failed to make the team, and that was a huge disappoint to me. I wrote this motto down in my social media to remind myself of my eventual goal, which was the 2012 Olympics. I quickly adjusted my mentality, and together with my coaches’ encouragement, I understood that the larger the disappointment, the stronger I would become. Valerie: We see you getting more and more involved in social activities recently, and you are even appointed into Chinese People’s Political Consultative Conference in the Provincial level. What prompts you to engage more in society? Linlin: I feel that my life should be more enriched, and this does not only limit to sports. No matter what I do, I can learn something and benefit. Every social engagement is an experience to improve myself, and I also hope to find my purpose in life through all these. Valerie: What will Deng Linlin be in five years’ time? Linlin: In the coming five years, I hope I can graduate smoothly and study overseas. I also see myself becoming more mature, being exposed to richer experiences, and finding my next target in life. Let’s hope that I will be a step closer to my dream life! Valerie: The Chinese WAG team seemed not to be as well-received by the judges after 2008. Now as we are approaching Rio, what expectations do you have for the current Chinese WAG team? Linlin: I hope that my younger fellows can get good results. Basically it is all about how they perform under the pressure. Nevertheless, I hope they can gear up to their best. 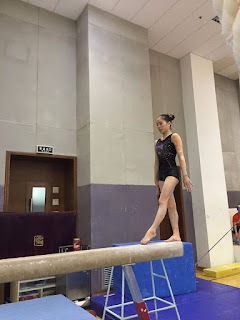 There have been speculations on whether Yao Jinnan, the current leader of the Chinese Women’s Artistic Gymnastics Team, can make it to the Olympics given her current status. No one can answer this except time. Our new friend, Chinese Gymnastics Insider Bless the Budding Flowers of Chinese Gymnastics recently chatted with Yao Jinnan. We now know that as of now, no routine of Yao has been completed. Yao’s condition has been inconsistent. Yao is still feeling pain here and there. She practices bars when her legs hurt and practices somersaults when her hands hurt. Whether or not will Yao compete all-around and resume her previous difficulty level will depend on these few months’ work. 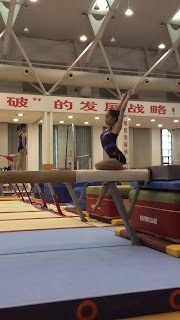 Yet she also mentioned that Yao has been formulating her complete routines half a month before competition, and that did not affect her results. Therefore, maybe we do not have to worry that much! Valerie: How do you feel about the training atmosphere? Has everybody started gearing up? Jinnan: It is not too far away from the internal tests and competitions, the first internal test one is just five weeks away. Everyone is trying to perfect their routines. We all are enthusiastic to prepare for the Olympics. Many routines are ready and more difficult than before, but my routines take longer time to work out. I am gradually narrowing the gap between everybody and myself, and I am striving to recover faster. Valerie: How is the current Chinese Women’s Team different from the 2012 Olympic Team? Jinnan: In fact, the most different thing is that I become the leader. I was being led by the older girls before, and now I am leading the younger girls. We have the same goals as the 2012 Team, we are working hard and fighting for Olympic glory. Otherwise things are quite similar. Valerie: Four years ago you were still the baby of the team, but now you are already the leader. How has that changed you? Jinnan: I feel that now I do not just manage myself well, but I have to watch the young girls too. Older girls like me and the coaches feel that the young girls perform quite differently in competitions than in training, and that is pretty much psychological. Now I will share with them my competition experiences during training, and encourage them during training. It is essential to make them feel more secure psychologically. Valerie: How will you prepare yourselves this Olympic Year? Jinnan: Firstly, I must get my complete routines ready, and condition myself to the best form to face the endless tests and competitions. Stress is something that comes with it, but I will try to adjust my mentality. Valerie: Many fans hope that you and the Chinese Team will perform well in the Olympics. What will you say to them? Jinnan: I often watch the blessings and encouragements from gymnastics fans online. I feel empowered every time I watch these. All these good words give me huge motivation during training, so I would like to say a big Thank You to you all. I know that you all look forward to the competitions, and so I will try my best to deliver the best side of mine to you all. Special Thanks to Bless the Budding Flowers of Chinese Gymnastics for contacting Yao Jinnan and taking photos of her training session for us. Larrissa Miller "I Was Afraid of Getting Blamed For Being Sexually Abused"
Larissa Miller, who is born in 1992, is an Australian gymnast. She competed at several World championships and represented her country at 2012 Olympic Games. In mid 2015, Miller broke her silence on being sexually abused by an extended family member between the ages of 5 & 16. She is an advocate & ambassador for Bravehearts Inc. Bravehearts is an Australian non-profit organisation deal with all facets of Child Sexual Assault. Miller opens up to WOGymnastikA about her sport's career and moving on with her life after the sexual abuse. Larrissa: I am 23, but about 10 years old at heart! I was born in a very small country town in central Queensland called “Moranbah”, at the time having the approximate population of 6,000-7,000 people. I have a Niece and 2 Nephews with another little boy on the way. I love to write, read poetry and draw. Music is my therapy! I drive a Subaru. I am a stunt double in an upcoming film, called ‘Raising The Bar’. Sometimes I still find it completely crazy that I have traveled the world doing something that I love. 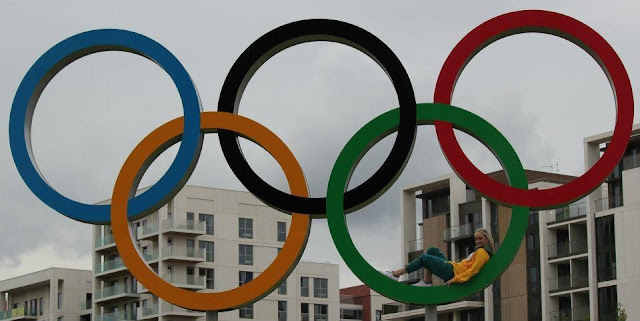 I moved from Queensland to Melbourne in 2013, away from my family, to continue on my gymnastics journey. Gigi: What are your goals this year? Larrissa: My goals this year are: Firstly be a part of the team that will travel to Rio in April, and secure Australia a team spot in the Rio Olympic Games. Then, I would love to make it to my second Olympics, and make a final on either bars or floor.. or both! Gigi: Are you training new elements? 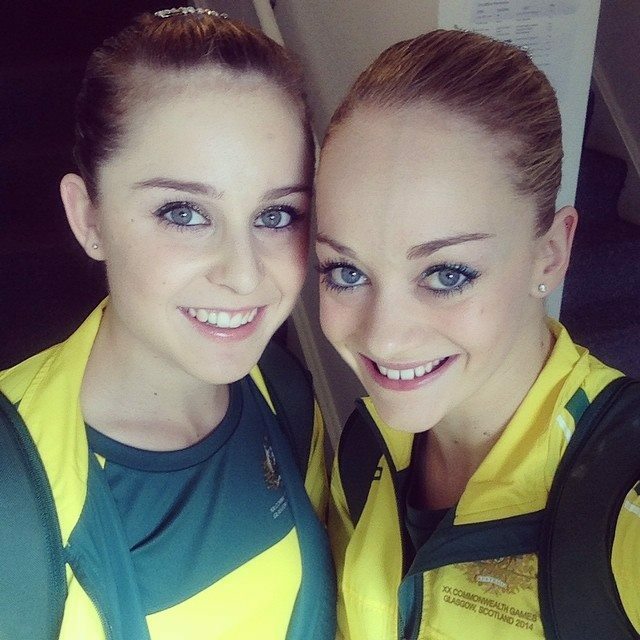 Larrissa: I am currently training a few new elements, both on floor and bars. If all goes to plan I will be competing them at the test event in Rio. Gigi: Who are the gymnasts you admire the most? Larrissa: I love love love Viktoria Komova’s Bars, her lines and rhythm are perfection. Ksenia Afanasyeva on floor, I love the Sassy Expressiveness of her choreography. In general I really like the style and elegance of the Russian team. Gigi: Are their foreign gymnasts you have developed friendship with? Larrissa: Sometimes it’s difficult to really talk and connect to the other competitors at big events, because everyone is so focus on their task at hand. But I have developed quite a few International Friendships over the years and I think is it really cool to know that I have friends from all over the world. Gigi: What is the best thing about being a competitive gymnast? 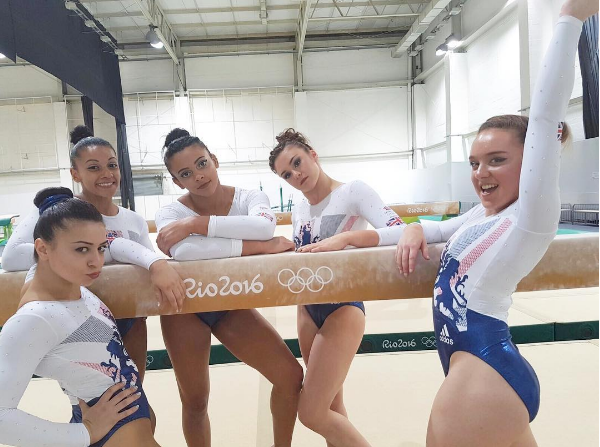 Larrissa: I think the best thing about being a competitive gymnast is all the things my team mates and I go through together. I love nothing more than being part of an elite athlete community where each and every one of us share the same passion. I believe the bonds that have been created throughout my career are like no other, it is like my team mates and I speak our own language. We all go through very similar thing. We all have the same thoughts, feelings, emotions, trials, tribulations, successes and failures; and that is something that only members of my team could understand. And then, being able to travel the world with those girls and coaches by my side is incredible; I feel so blessed. Gigi: Last year, you hit headlines when you came out as a sexual assault survivor. Unfortunately, to this day victim blaming exits which in my opinion can be just as damaging as the sexual abuse itself. When you decided to fight it, bring it to the light and have the animal pay for what he did, were you worried about being victim blamed? Like for example, people saying 'Oh, why after all those years did she decide to do something about it' - ' Why didn't she say no! She must have put herself in a position which led this to happen' - ' Where were her parents' - 'What was she wearing’....etc. Larrissa: From the time I first gave a formal statement to police back in October 2012, I would lose sleep thinking that no one would believe my story. I had lived my whole life pushing my past to the side that I had never truly acknowledged and dealt with what happened. Sometimes I didn't even believe it all myself, so I didn't know how others would. I guess to some extent I was afraid of being ‘Blamed’. I always thought I was going to get in trouble, as if I had done something wrong. Once I opened up to my family I received nothing but support, they never once questioned the legitimacy of what I told them. However on the contrary I was saying all of those thing to myself; “Why didn't I say no?”, “Was I asking for it?”, “I deserved it”, “It was my fault”. Gigi: Does it hurt you whenever you hear someone blaming the victims of sexual assault? How do you not let it get to you? Larrissa: It really does, I can’t even begin to image how victims who are blamed for their abuse must feel. I haven’t heard first hand, people blaming victims but I know it happens all to often. Since going public with my story, I've had many people open up and tell me about their own past. And something that is really common, is self blame; and that truly breaks my heart. One thing that helped me with my self blame was looking to other abuse victims. I would ask myself “did they deserve it?”, and my answer would always, ALWAYS, be no; so why should I treat myself any different. Gigi: How did you emotionally toughen up and decided to take a stand and tell your mother about it? Larrissa: I got to a point where I didn't have any other choice. I was almost 17 and I started to fall victim to depression and well as anxiety, insomnia and PTSD. As much as I tried to hide it, people around me started to notice changes in me. I shut the world out, I hardly ate and I started self harming. My mum and I started fighting a lot because I was so distant, mean and miserable all the time. She thought I was just being a moody teenager. I knew I couldn't keep going the way I was going, so the first person I opened up to was my sister. Gigi: Do you think you will ever bring yourself to forgive the assaulter? Gigi: How do you advise victim of assaults to move on with their lives and heal? Tell Someone. Opening up and telling someone about your abuse is one the hardest, most confronting thing for a victim, but living is silence is soul sucking. It will envelope you until you have nothing left. So tell someone. And if the first person you tell doesn't listen tell someone else, and if the next person doesn't listen tell someone else; because eventually you will find someone who listens, cares and makes you glad you broke your silence. Let yourself feel. The worst thing I did, was ignoring and or mask my feelings. You were hurt, and you need to feel that hurt, before you can even begin to heal. Talk. For me personally, it didn't and doesn't help to talk about the details of my abuse, but what did help was talking about the feelings that came with what happened to me. I now regularly see a psychiatrist to help me unpack my thoughts. Don’t be afraid to ask for and accept help. Earlier this year, right before the court case, things got really hard for me. I tried to do it all alone because I felt like a burden to the people around me, and I almost didn't make it. The people in your life, friends, family, doctors etc. are there for you, and they want to be there for you. You just have to let them in. Gigi: Can you tell us about bravehearts? Larrissa: Bravehearts is an Australian non-profit Organisation dealing with all facets of Child Sexual Assault. Studies have shown that 1 in 5 Australian Children will be, in some way, sexually abused before their 18th birthday. Bravehearts’ vision is to Educate, Empower and Protect kid. They have school based programs that teach children from a young age, what is, and what is not appropriate behaviour. Unfortunately sexual abuse, to some extent is shunned away, because it a difficult thing to talk about. Bravehearts works by continually bringing sexual abuse to the light, to get people talking and raise awareness. Gigi: How do you see your life in five years? Larrissa: Looking forward and wondering what my life is going to be like years from now is something that really really scares me! I am the kind of person who needs to just live in the present moment. That for me right now is Gymnastics, my Family and Friends and just focusing on being happy Larrissa; Being the best version of myself that I can be.